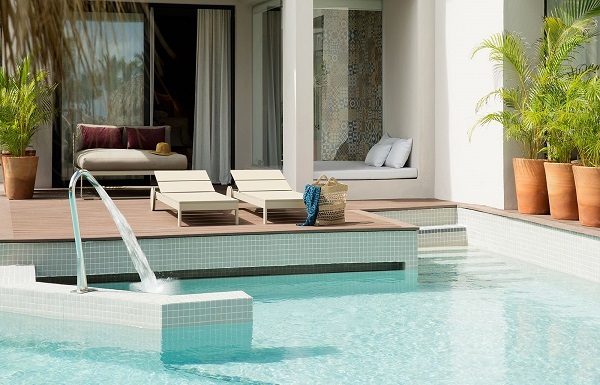 At Excellence El Carmen you are secluded but not isolated. Our all-adult, all-suite world is situated on a beautiful Caribbean beach in a palm grove on the east coast of the Dominican Republic. 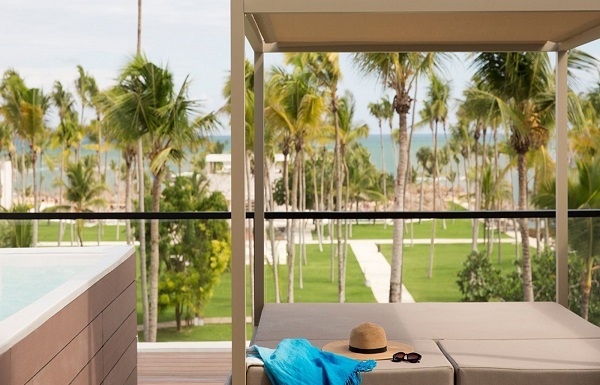 At Excellence El Carmen you are secluded but not isolated. This all-adult, all-suite world is situated on a beautiful Caribbean beach in a palm grove on the east coast of the Dominican Republic. Its architecture is in the Contemporary Caribbean style, and twenty pools wind through our grounds. There are 11 restaurants to entice you with a range of global cuisine, a beach snack grill, plus 15 bars, each with its own personality. Excellence El Carmen is also home to a world-class spa, state-of-the-art fitness center and an exceptional range of activities and services. Situated on the east coast of the Dominican Republic, only 25 minutes from the Punta Cana International Airport and 70 minutes from La Romana International Airport, the resort is surrounded by a beautiful palm grove, bordering a Caribbean beach of fine golden sands. Reservations are not required for dinner. Spa cuisine in all meals & vegetarian menu available in all restaurants for dinner. Seasonal changes may apply without prior notice. Special dress codes apply, especially at some a-la-carte dining venues. Handicapped facilities: 2 ADA rooms for the physically challenged. Excellence Club Amenities: The Excellence Club represents the ultimate in luxury, privacy, exclusivity and service. Featuring: private check-in & check-out / Late check-out & early check-in (subject to availability) • Concierge desk (7am to 11pm) • Private lounge (7am to 11pm) with concierge service, smart buffets & bar service • Private restaurant for breakfast & dinner at Lounge • Private Bar at Lounge • Bvlgari toiletries • Upgraded minibar & room service menu • 12 private pools & 7 independent Jacuzzis (hot water) at the pool area • Private beach area • Complimentary newspaper in room every day, Free calls to U.S. & Canada • Complimentary beach bag for use during your stay • Shoe shine service • Daily fruit & petit fours in room • Fresh flowers and sparkling wine in room upon arrival • Upgraded in-room premium liquor & wine bottle selection • Nespresso machine • Room Service Express (menu featuring a number of savory items that can be delivered almost immediately) • One Aqua Wellness treatment per person per stay. 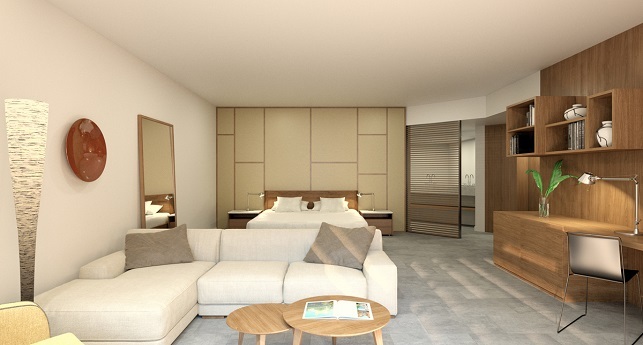 Spacious Junior Suites (800 sq. ft.) have King or two Double beds • L-Shaped sofa • Expansive private balcony with comfortable lounge furniture • Oversize Jacuzzi for two • Full bathrooms including a rain shower for two, double vanities equipped with hair dryer, scale, make-up desk, VIP toiletries and wireless phone • Bathrobe & slippers for use during your stay • Interactive media 46” flat-screen TV • Air conditioning with in-room climate control • Direct-dial telephone • Free calls to U.S.A. & Canada • Free wireless Internet, Free calls to U.S. & Canada • Radio / alarm clock • Electronic in-room safe (laptop size) • Espresso machine • Stocked mini bar with beer, juices, soft drinks, water and snacks • In-room premium liquor & wine bottle selection • 24-hour room service • Service box for room service • Iron and ironing board • Pillow menu • Turn-down service and hotel stationery • Concierge service from 7am through 11pm. These suites offer an upgraded level of privacy, featuring a separate bedroom and double size balconies. Room features same amenities as the JR SUITE POOL VIEW. King Bed. Spacious Junior Suites (800 sq ft) with Ocean View offers expansive private balcony or terrace with comfortable lounge furniture & oversize Jacuzzi for two. King bed. These 2000 sq ft (900 room + 1,100 exterior) are perfect for guests looking for their own private deck & pool. Located on the ground floor this category offers a one-bedroom suite with separate living area and double acces to exterior pool & deck, the same amenities as the JR SUITE POOL VIEW, plus a 800 sq ft private garden including a 250 sq ft pool, 2 sun beds and a furnished terrace. King bed. Spacious (950 sq. 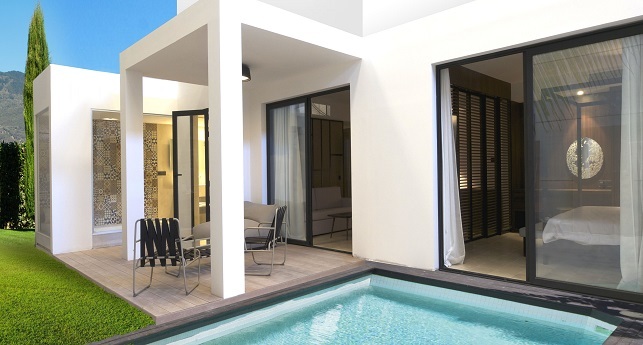 ft.) offer same amenities as per the JR SUITE POOL VIEW plus, his & hers WC and an expansive terrace with comfortable lounge furniture, a Balinese bed and an exterior plunge pool. King Bed. These spacious (950 sq. ft.) suites offer the same amenities as the JR SUITE POOL VIEW and are located on the ground floor, offering direct access to a private pool connected to building´s pool. Other additional amenities include a furnished terrace with a lounge bed, 2 sun beds and a swan-neck Spa Jet. King Bed. Spacious suites, located on the ground floor feature a furnished terrace with a lounge bed, 2 sun beds and a private 300 sq. ft. pool. Room features same amenities as the JR SUITE POOL VIEW. King Bed. These spacious 1100 (sq. ft.) 1 bedroom suite offers a separate living room area, an oversize Jacuzzi for two, plus an expansive private terrace with comfortable lounge furniture. Room features same amenities as the JR SUITE POOL VIEW. King Bed. These suites offer the same amenities as the POOL JUNIOR SWIM-UP SUITE plus all the exclusive services and amenities from the Excellence Club. Spacious (950 sq. 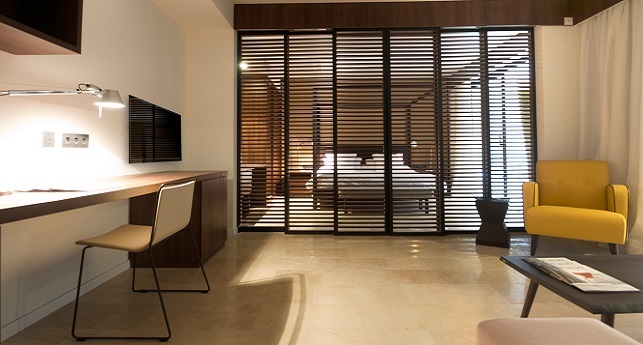 ft.) suites, located on the ground floor feature a furnished terrace with a lounge bed, 2 sun beds and a 300 sq. feet private pool. Included exclusive services and amenities from the Excellence Club. King Bed. These romantic suites offer ocean views, spacious 1.600 sq. ft. divided in two floors (800 sq. ft. each.) a private rooftop terrace with a plunge pool and comfortable lounge furniture, plus the exclusive benefits from our Excellence Club. King bed. These spacious 1100 (sq. ft.) suites feature a separate living room area, outside shower an oversize Jacuzzi for two, plus an expansive private terrace with comfortable lounge furniture and direct access to semi-private pool connected to the building´s pool. These suites enjoy all amenities as the JR SUITE POOL VIEW, plus the exclusive benefits of the Excellence Club. Additional amenities for this room category: In-room check in & check out, Butler Service for luggage, Special Jacuzzi decoration (must be booked through concierge) and Express ironing (1 outfit per person/stay). These extra spacious ( 2500 sq. ft.) suites feature breathtaking views to the Caribbean Sea, a separate living room area, an oversize Jacuzzi for two, plus an expansive roof top private terrace with a plunge pool and comfortable lounge furniture. These suites have all amenities as the JR SUITE POOL VIEW, plus the exclusive benefits of the Excellence Club. Additional amenities for this room category: In-room check in & check out, Butler Service for luggage, Special Jacuzzi decoration (must be booked through concierge) and Express ironing (1 outfit per person/stay). These spacious (1000 sq. ft.) suites are located right on the beach with impressive ocean-front views. They feature a separate living room area, an oversize Jacuzzi for two, plus an expansive private terrace with comfortable lounge furniture and direct access to semi-private pool connected to the building´s pool. These suites also enjoy all amenities as the JR SUITE POOL VIEW, plus the exclusive benefits of the Excellence Club. Additional amenities for this room category: In-room check in & check out, Butler Service for luggage, Special Jacuzzi decoration (must be booked through concierge) and Express ironing (1 outfit per person/stay). These extra spacious (1800 sq. ft.) suites, located right on the beach with impressive ocean front views, feature a separate living room area, an oversize Jacuzzi for two, an expansive roof top private terrace with a plunge pool and comfortable lounge furniture. These suites have the amenities and services from the JR. SUITE POOL VIEW, plus the exclusive benefits of the Excellence Club. Additional amenities for this room category: In-room check in & check out, Butler Service for luggage, Special Jacuzzi decoration (must be booked through concierge) and Express ironing (1 outfit per person/stay). 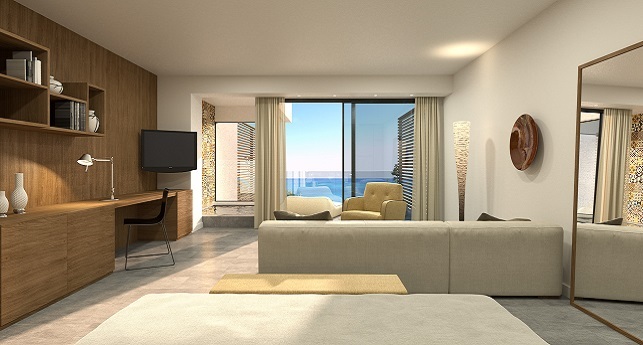 Our most luxurious beachfront 1-bedroom suite offers 3.400 sq. ft. divided in two floors. At the ground floor you will find a full living room, a bar, a separate WC at living room and the bedroom, plus all the amenities and services from the Junior Suites and the Excellence Club. At the Rooftop terrace you will find a plunge pool, lounge bed and a sofa area. Additional Amenities: In room Check in & Check out, Butler Service for luggage, Laptop and I-pad for use during your stay, Special Jacuzzi decoration*, private dinner*, Barman service at the suite**,, Unlimited access to "Aqua wellness" Spa circuit during your stay, Spa amenities at the suite, and complimentary laundry services during stay. Free transportation to and from the airport and farewell souvenir. *must be booked with concierge. **One per stay & must be scheduled with concierge 24 hours in advance. Excellence El Carmen offers a variety of beach, land and water activities each day, including snorkeling gear, deep sea fishing*, introductory scuba lessons, scuba diving with instruction*, horseback riding (30 min. included per person per stay), bocce, aerobics & water aerobics, fitness, yoga, jogging, Spanish lessons, dancing lessons, cooking lessons, theme nights, beach volleyball and football, tennis, basketball, squash, bicycles, table tennis, darts, board games, archery, air rifle shooting & billiards. When you’re ready for a workout, our comprehensive 4,000 square feet on-site gym brings you a full range of exercise equipment and classes. Our deluxe exercise facility offers complete weights and state-of-the-art cardio equipment including treadmills, crossover, movement and step machines, in addition to rooms for daily classes in yoga and aerobics. Our fitness trail provides a scenic, tropical route for walkers and joggers. *Terms and Conditions apply, please check with your Certified Destination Wedding Specialist for more information. Petit fours each evening at turn down service. One complimentary Lovers Live CD by Sade. 15% discount on your Photo package and 5 complimentary printed pictures of your photo session (size 5 x 7). In order to qualify for the above tiered concessions, each room must stay three nights and the minimum number of rooms in order to receive each tier must overlap main dates. *Upgrades are based on availability at time of hotel check in and in the next available category in which the majority of rooms are confirmed through the group with Destination Weddings. If couple is booked in a higher room category than applicable upgrade, upgrade can be transferred to another guest’s room booked within the group. Upgrade is not applicable to Terrace, Honeymoon, Imperial Suites, Penthouse or Owner’s Suite. **Anniversary return stay voucher will be presented to wedding couple upon return home from wedding. Return stay will not include transportation. The value is based on the category and length of stay couple originally booked up to 7 nights only.